Over 40s to pay tax towards their social care? Rare find on walk around Dawlish today - A late model Norton Commander p53. 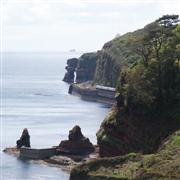 Pics of last week around Dawlish.